Wooster chiropractor Dr. Marty Moore understands that you deserve a stress-free experience and a plan tailored to your individual priorities. 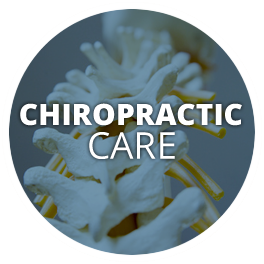 At Moore Chiropractic & Wellness, everything we do is focused on meeting your needs. Our approach involves helping you and your family live better and move better with thorough, customized care. You’ll get our best recommendations and can decide what works for you. 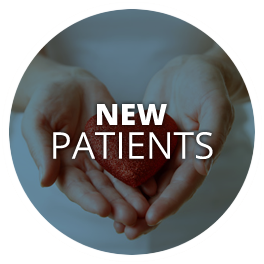 You’ll receive an extremely thorough consultation and examination on your first visit. No stone is left unturned in discovering how to help you and to give the precise care you need. Though chiropractic care is wonderfully effective at relieving pain, Dr. Moore emphasizes its abilities to help your body work better. This approach to wellness care is complemented by Dr. Moore’s expertise in nutrition. He’s happy to discuss supplements or essential nutrients with you and foods to avoid. A line of vitamins is carried in our office to get you the nutrition you require. We find that chiropractic care works even better for our patients when they get the fuel their body needs to run well. At Moore Chiropractic & Wellness, there’s no pressure to see us for a certain amount of time. It’s entirely up to you. In addition to not needing to stick to a long treatment plan, we want your appointments with us to fit easily into your busy schedule. Our laid-back practice welcomes walk-ins and has evening and Saturday appointments available to stay flexible for you. Nearly all insurance plans are accepted at our office. On-site X-rays can be taken when necessary. Contact us today to find out what we can do for you! Then, I began to see Dr. Marty Moore and within three visits, my pain started to subside. Dr. Moore not only made the usual spinal adjustments but he also worked on relieving my tense muscles. Dr. Moore had a different approach! Within a few more visits, I was beginning to move and turn my body in ways I had not been able to for six years. I saw continual improvement. Now, I can sleep without pain waking me, and I can get out of bed and out of my car without any pain. Since things were going so well, I decided to mention my TMJ symptoms to Dr. Moore. I had mild, but chronic, facial and jaw discomfort. 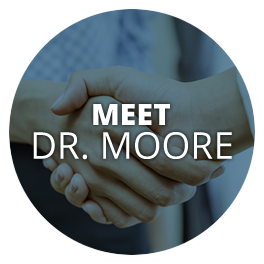 With Dr. Moore’s treatment, I could feel relief even by the time I was walking out of his office! 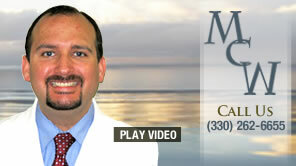 I have been a patient of Dr. Moore for two years now, and I am so pleased with his care! He also allows me to decide the frequency of my maintenance visits and I feel so much better! I can wholeheartedly recommend Dr. Moore for your chiropractic needs!